Download here PROCEEDINGS and CATALOGUE of ASC 2017 congress. Hypermodern society entertains itself and replicates itself in excess and in the extreme flexibility of its perception of space and time through the Internet and global communication media. These new windows expose us to instant, complete knowledge of events, thus producing the sensation of being within History, unable to control it. As a reaction, we place ourselves in a continuous present, constantly in change, losing historic awareness. In this section we try to establish, from diverse fields and areas of knowledge, the contemporary uses and discourses and how they relate to the image inflation we are currently living in. We try to foster and deepen multi-disciplinary art research on the how knowledge is generated with regards to current global policies related to urban planning. Thus, it will pay attention to the problems generated by new city planning, in which mass tourism, patrimonialising (heritage branding), merchantilising or theme-park city transformation are arguments with an interest in narratives that articulate different types of gentrification. We look for the answers from the realm of contemporary aesthetic and visual production. These answers range from a reaction to the appropriation and objectification of the very field of art production, to presenting new cognoscitive paths for action with respect to economic, political, social, cultural conditions involved, which in such a wide field include arts, architecture, history and aesthetics. In this section we want to provide space for those reflections and practices beyond the established limits of academic structures. If science itself is exposing the fissures of their own structural paradigms, contemporary art receives signals that question and trigger a constant crisis of those values consolidated by their own legitimate platforms and by the market. This section will be a space for those approaches that look into other cultures and alternative sources in an attempt to propose routes of escape from the deep crisis that our Western culture is going through. CREATIVE ROOM: How Are Things Told? 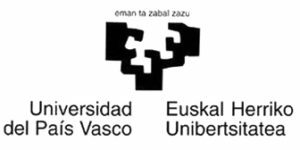 Another way of participating in the congress is through the presentation of physical material, which will be exhibited 23 and 25th of October, 2017, at the Exhibitions Hall of the Faculty of Fine Arts of the University of Malaga. This space will display projects and/or proposals in different media (visual arts, audiovisual material, models, graphic documents, music, installations…) connected to the themes of the congress (included in any of the three lines of the congress: [histories] [cities] [out of bounds]). 3D Tune-In Toolkit is a custom open-source C++ library developed within the EU-funded project 3D Tune-In. The Toolkit provides a high level of realism and immersiveness within 3D audio simulations (both speaker and headphones-based), while allowing for the emulation of hearing aid devices and of different typologies of hearing loss. The 3D Tune-In Toolkit introduces a novelty way of binaural spatialization of mono audio sources. The Toolkit is able to spatialize multiple anechoic sources efficiently in a full 3D space by performing a convolution with a selected Head Related Impulse Response (HRIR), which is an individual characterization of the listener head. It can also add an extra shadow in the contralateral ear for sources very close to the listener head, according to a sound propagation model. The library can also simulates sources placed far away from the listener. In addition to the anechoic spatialization, the 3D Tune-In Toolkit generates the corresponding reverberation, to simulate the sound reflections in in-door environments. It uses a novel approach, based on low-order Ambisonic encoding of all sources and an efficient convolution algorithm in the frequency domain. These methods allows us to compute large reverberating scenes, with virtually unlimited number of sources. The 3D Tune-In toolkit also implements a simulator of hearing loss and of a generalised hearing aid. The former simulates different types of hearing impairment. The latter, offers the possibility of simulating hearing aid devices, including multiband amplification and directional microphones. Several applications are being developed using the Toolkit, deployed on multiple platforms (e.g. 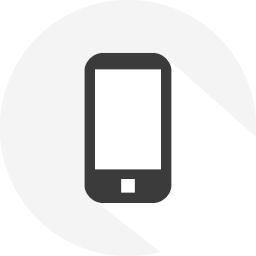 mobile, desktop or browser), tailored to different target audiences (e.g. older users or children) and scenarios (e.g. music listening or noisy environment simulation). A first version of the 3D Tune-In Toolkit will be released with a non-commercial open-source license at the beginning of 2018. LIVE SESSION: PDP11 "Tractor Caliente"